The chart below shows the 4-year US presidential election cycle (PEC) superimposed on the FT All-Share index from 1956. The vertical bars indicate the timing of the November elections every four years. It can be seen that on occasions the US presidential election has (approximately) coincided with significant turning points in the UK market; notably those elections in 1960, 1968, 1972, 1976,2000, and 2008. 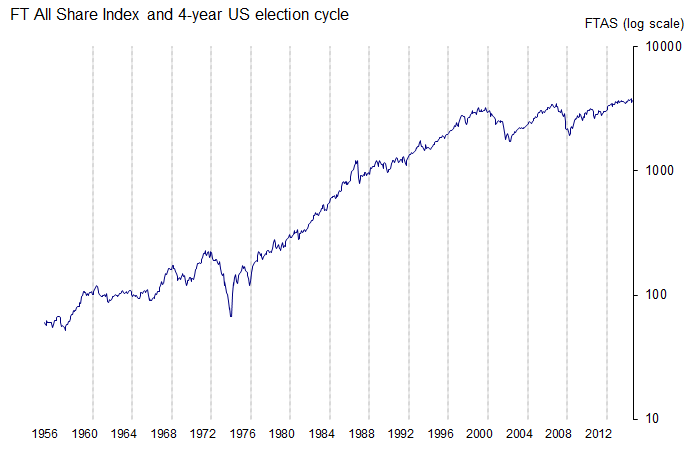 The following chart shows the average annual returns for the FT All-Share Index for each of the four years in the US presidential election cycle. PEC(1) is the first full year after a presidential election, PEC(4) is the election year. 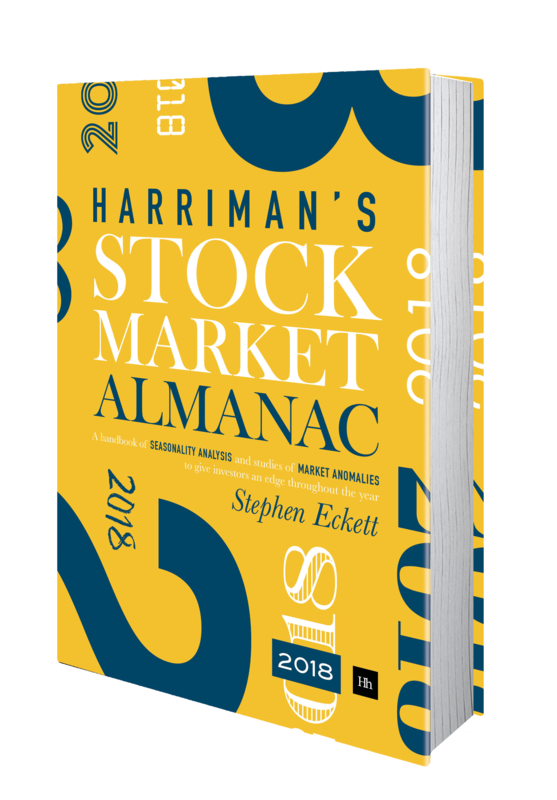 Typically, presidents have primed the economy in the year before elections [PEC(3)] – or, at least, stock markets have expected them to do so. 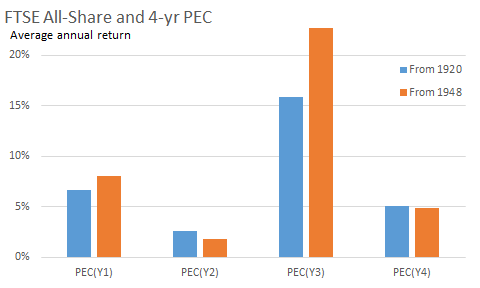 And the following chart plots the proportion of years that saw positive returns in each of the four years in the PEC. For the 15 presidential cycles from 1948 to 2008, the FT All-Share Index saw positive returns in every third year of the cycle. 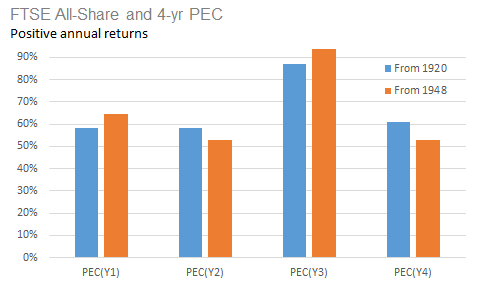 But in the two cycles since 2008, the Index has had negative returns in PEC(3). For reference below is data on the US presidential elections since 1948. This entry was posted in International, Long term, Market, News and tagged PEC, pol, US, US elections by Almanacist. Bookmark the permalink.